Boeing says it's created the lightest metal ever, a microlattice material which it describes as 99.99% air. Weight savings are crucially important in aircraft manufacturing, since a lighter aircraft requires less fuel, which is airlines' largest operating expense. 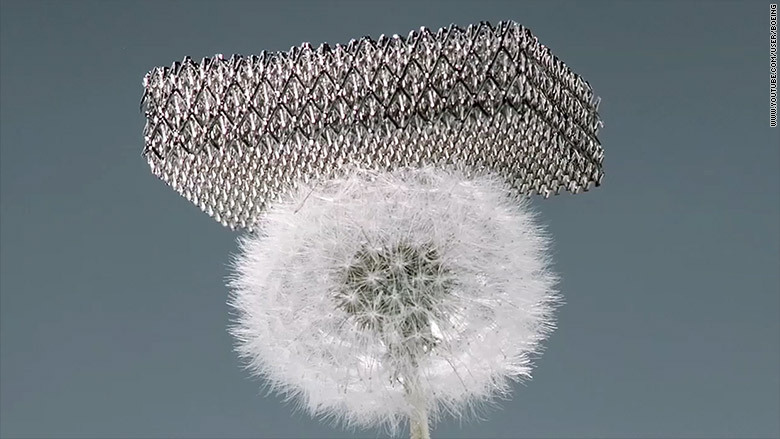 The microlattice looks like a sponge or a mesh, and is simultaneously flexible and very strong, according to Boeing. 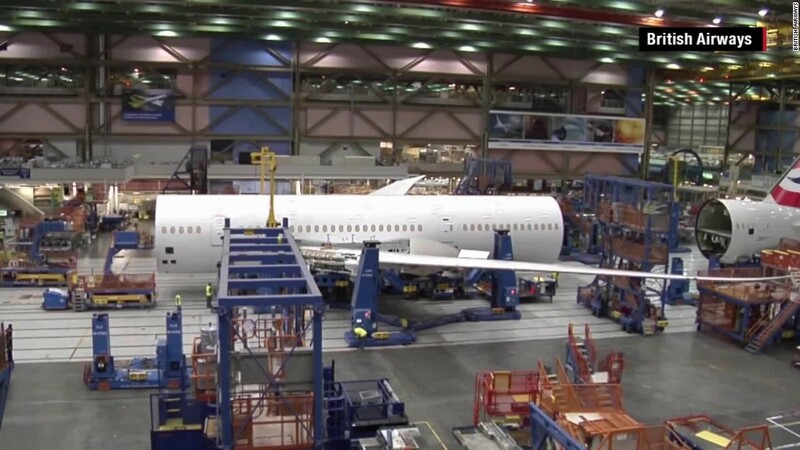 Should it become widely used, Boeing (BA) said the material could help airlines save huge amounts of money. Boeing describes the new microlattice as an "open cellular polymer structure." The main use of the material would be structural components, such as sidewall or floor panels of commercial jets. Boeing says its new microlattice is the world's lightest metal ever created. The material was jointly developed by HRL Laboratories, a joint venture between Boeing and General Motors (GM), in collaboration with Cal Tech and UC Irvine. The microlattice weighs only about one tenth as much as carbon fiber, and is actually slightly lighter than air itself, said Bill Carter, the director of the Sensors and Materials Laboratory at HRL.